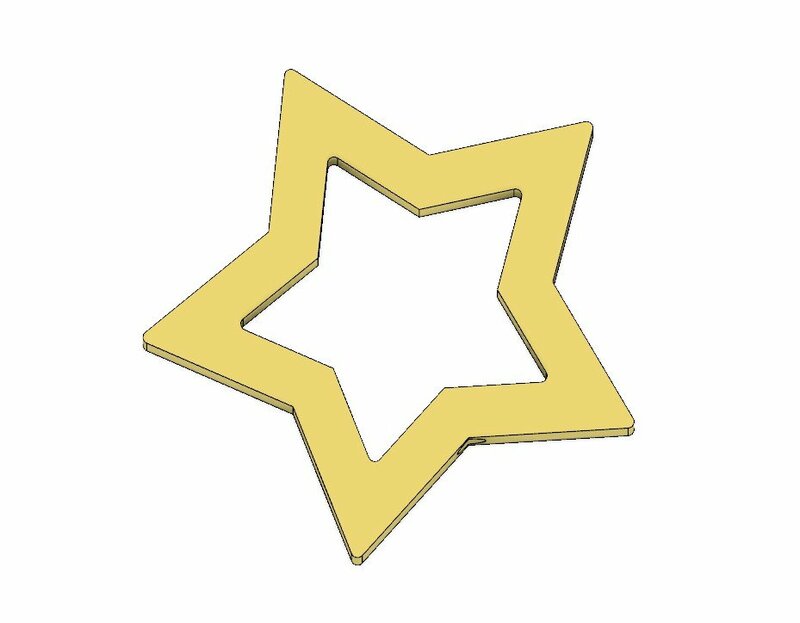 To further complete the Rosalina cosplay, I created this star piece that fits on the end of a dowel. Now you can swing away with reckless abandon as you care for the Cosmos and Luma. The wand measures approximately 98 mm by 93 mm by 10 mm. The star tip can be scaled up or down pretty reliably, but the file was specifically designed for a 6.35 mm (quarter inch) in diameter dowel.